I am linking up today with Emily's Kodaly Music. The topic for her books this week is "Night Time or Lullaby" books, so I thought I would link up and share a few of my favorites. You can check out her favorites by clicking the picture below. She blogged about "When You Wish Upon a Star" which is also one of my favorites. The illustrations are so beautiful! This book is great for teaching loud/soft, lullaby, and would also be a great choice to pull out in February for Black History Month. It is believed that this song comes from African American women, who would sing it to the children they were caring for as they were away from their own children. This is a great one to use in kindergarten with loud/soft. I picked it up at KMEA last year and actually love to use it at home with my 2 1/2 year old. It would be fun to use in your home if you have little ones, in early childhood music classes, and up to kindergarten, but I wouldn't go much past K with it. On the pages before the lyrics, it shows the older sister knocking over the cradle, the baby crying, the older sister trying to soothe the baby (like the cover). The older sister goes with papa to find all of the different presents for the baby. 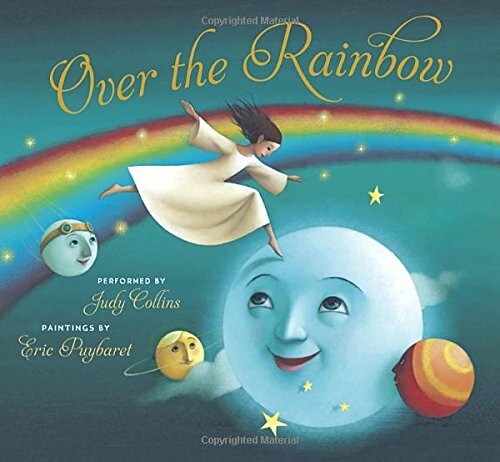 I don't know if I just love this one because I am from Kansas and the connection to the Wizard of Oz, but this book takes the song out of Oz and sets it to some of the loveliest illustration by Eric Puybaret. I haven't connected this to any of the concepts in my sequence yet, I just love to sing it to my kids. It is good for them just to be sung (and read to) for the sake of hearing you sing expressively! I hope you have enjoyed these book ideas and have found a new one to put on your wishlist or add to your collection! What are your favorite books for night time/lullabies? Thanks for linking up! I am glad you posted about Hush Little Baby as I thought about including it myself! I need to get All The Pretty Little Horses- so beautiful! Yes, it is definitely a favorite! Thanks for sharing your great picks as well! 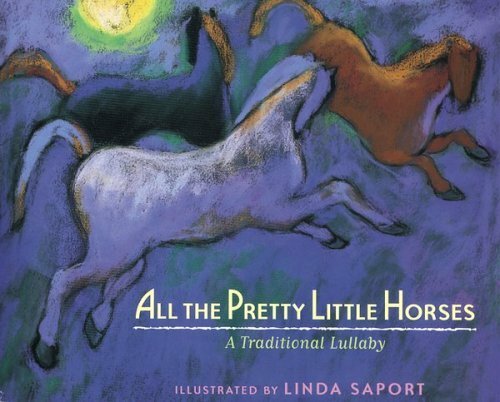 I used to buy Hush Little Baby for a surprise gift for teachers who were having a baby. I would teach the song to their students and we would record the book, wrap it and present it 'to the baby'. The students LOVED doing this and it gave the teacher a 'special keepsake' from the class.